Essential oils aren’t just a trend! It may seem like essential oils are the “trendy new hotness” right now, but actually essential oils have been used by humans for thousands of years to heal, calm and enhance lives. Before you read anything else: Rest easy knowing that using your essential oils for kids is not inventing the wheel, you’re actually using tried-and-true methods moms have been using throughout history. Plus, we’ve got your back. What’s the big deal about using essential oils for kids, anyway? Kids are not tiny adults! One single drop of essential oil is equal to 15-40 cups of medicinal tea, or up to 10 teaspoons of tincture. Woah, it’s no wonder we love them so much! But think about it, would you give a child 40 cups of tea or 10 teaspoons of tincture? No way! Which is why you need to treat essential oils a little differently when using them for kids. Plus, some essential oils can only be used on children over a certain age, and some oils that just plain can’t be used for kids at all. Don’t stress! 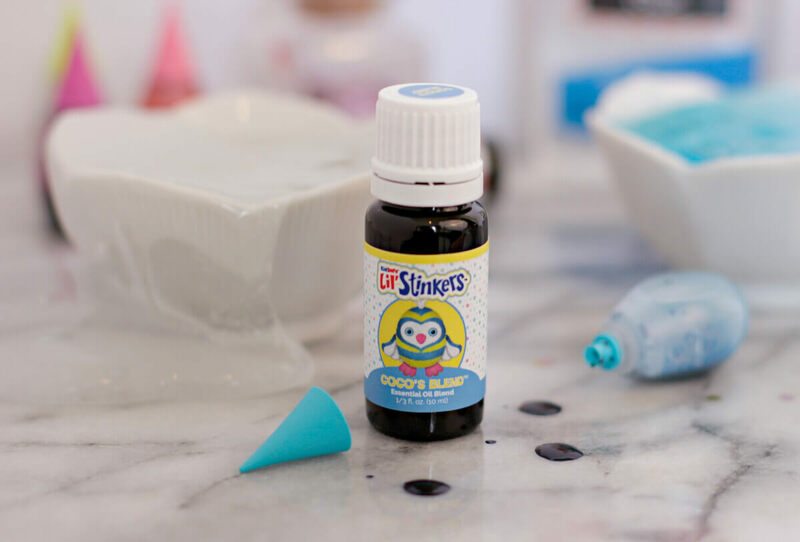 We’ve got your back with all the info you need to safely use essential oils for kids. 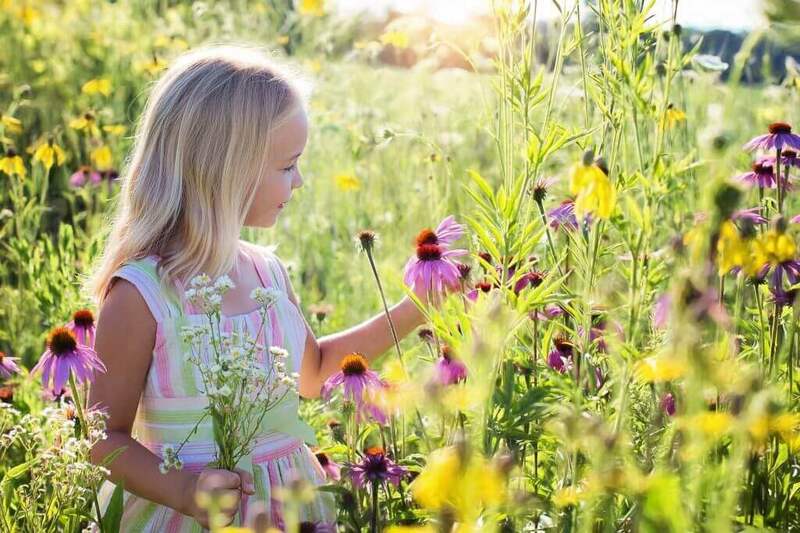 What essential oils for kids are? That’s just a tiny part of the list of child-safe oils! You can also choose KidSafe® oils! Choose from anything in our KidSafe® line and be 100% sure you’re getting essential oils that are safe for your children. Which essential oils should you AVOID using on and around your kids? So, it’s true that some essential oils aren’t safe for use with children. Peppermint, for example, has a high amount of menthol, and some chemotypes of Eucalyptus and Rosemary have high amounts of 1,8-Cineole, which are not safe for use around children. Don’t put your oils away just yet, you can still safely use essential oils for your kids in the home, you just need to make sure your oils and synergies are kid-friendly and make sure you’re educated. You’re probably wondering if you can use essential oils that are NOT safe for your children yourself when you’re around your children all the time. The answer is–you totally can! A personal inhaler lets you use whichever essential oils you need, without worrying about affecting your little ones. Just make sure to use your personal inhaler away from your baby and leave enough time for the scent to dissipate before bringing your child back into the room. Remember, essential oils for kids are an amazing way to naturally enhance your child’s life, care for their body and nurture their mind. All it takes is a little education, some quality oils and a loving parent to reap all the benefits essential oils have to offer! I was browsing the internet trying to find a natural diy kid safe nail polish remover. Lemongrass EO came up several times. I see it’s on the avoid list here however. Would a wild orange EO be safe to use instead? Sarah, you’ll have to reach out to our team of aromatherapists at [email protected] for help with that answer, as I am not personally aware of how dilution in candles will affect children. Thank you! It will be helpful if PT can come up with a list of oils not labelled as Kidsafe but is safe enough for diffusion instead of topical use. I work with both kids and adults in the same day. How long do I need to wait between diffusing a non kid safe oil and having a kid in my office? If I used a regular blend the first 30 min then nothing, would it be ok for a kid 30 min later? Hello, I was planning on using Lemon EO for my homemade dish soap and air freshener. Would this be harmful to my 2 1/2 year old? He washes dishes with me. Is there a list of oils that are safe to diffuse around kids under 10 that are not safe to use topically? I know Lime is one of them… what are others? Suzette, unfortunately, we do not have a formal list yet, but please feel free to reach out to our aromatherapists at [email protected] and I’m sure they’ll be able to help you out! Im starting a personal use of essential oils for hormones which includes, clary sage oil, basil oil ,thyme oil, sandlewood oil and lemongrass . I will be using in a roll bottle on my skin but I have 7 children are these save to use around my children ? Regarding 1,8-Cineole, I just read an article that said Ravintsara contains up to 45% of 1,8-Cineole. The same article (and others) said it was safer for kids than Ravensara. Any clarification would be much appreciated. Unfortunately, with the increase of EO popularity, there are tons of different articles on the issue of safety, and it is difficult to know what advice to follow. While I do not know about these specific articles you are referring to, I do know that we consider neither Ravintsara or Ravensara to be safe to use around children. I’m sure you can reach out to our team of aromatherapists at [email protected] and they may be able to help you more with this! Is bergamot safe around Children under 10? I see Ylang-Ylang Complete on the no list for kids. What about Ylang-Ylang Extra? What is the difference? If I wear a roll on perfume that contains the Ylang-Ylang Extra will it be harmful to my 3 and 4 year old to smell it on me? Wow this is so informative and really understandable! Thanks for all the great info! What about using Lavender? We had a scare with my child possibly going thru precocious puberty and one of the first things the endocrinologist asked us is if my child was subjected to lavender oil because it is known to cause onset of precocious puberty. Is there truth to that? Is Germ fighter safe to diffuse around an 8 1/2 year old? Thank you for all the info. 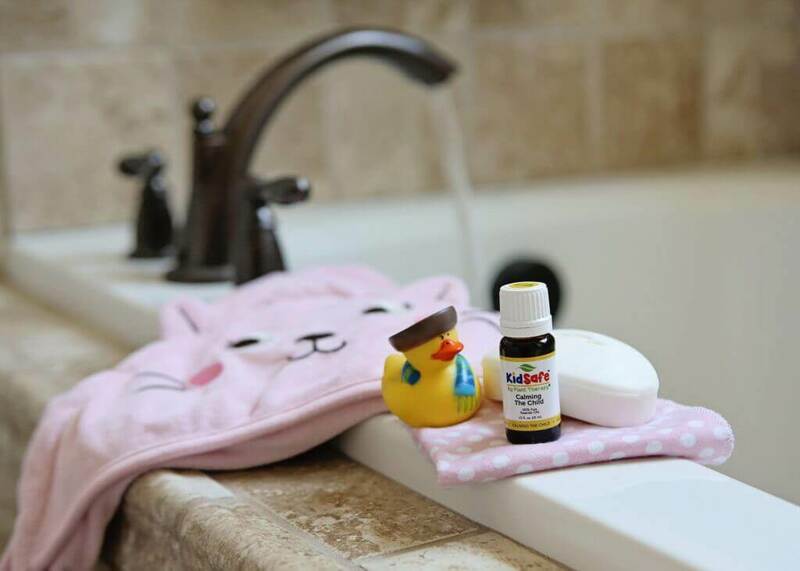 We definitely recommend diffusing Germ Destroyer, which is KidSafe, instead of Germ Fighter, when there are young kids around. Germ Fighter contains both Cinnamon Cassia, Eucalyptus, Clove, and Rosemary, which each present their own safety concern for children. They can irritate mucous membranes, throat, and eyes of children under the age of 10. As a brand new essential oil user with a toddler, this post has been so helpful. I actually chose to use your company over others because of how clearly you label your products. I feel confident knowing that I am bringing wellness into my home in a way that is safe for my daughter. I see that oregano is listed as an oil to be avoided under 10. I understand not applying topically, but does this mean to avoid diffusing it as well? Thanks! 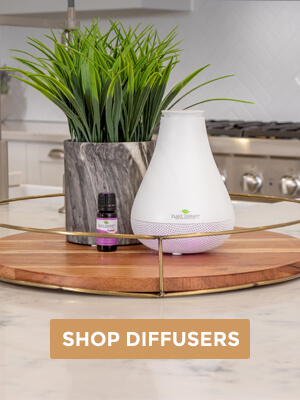 Lyndsey, we do not recommend even diffusing Oregano around young children because it has some toxicity concerns, and it’s also a mucous membrane irritant, which can cause irritation in the throat the lungs when inhaled. That was a great question, thank you for asking! I read that oregano oil is safe to inhale by children for colds and respiratory infections so I’m wondering why it’s listed as not safe on here? Thank you. I am desperately looking for a way to help my daughter with her stomachache. She is 6 years old. I’ve heard lavender could be effective. She is being treated medically with antacids but the medication does not seem to help. What would you recommend me? Hi I use a plant based cleaning product and one of the essential oils that is in it is peppermint. I didn’t see peppermint oil on the never list but it was mentioned to be unsafe around children. I have been working with essential oils for over 17 years and teach workshops on them as well. Last weekend a student asked me why an essential oil would be safe for an adult and not a child. I know that children are smaller and require a lower dilution rate and I have lists of oils not safe for children, but did not have a clear answer for this question. I found the above quote in this article and still am not getting the ‘why’. I wouldn’t give an adult 40 cups of tea or 10 tsps of tincture. I would love further clarification on this if you have it. Thank you! Are all oils safe to use on kids over 10? Or are there some that should still be avoided? 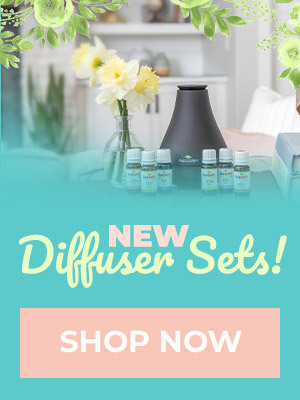 I am new to essential oils and I am only wanting to use my oils in my diffuser. 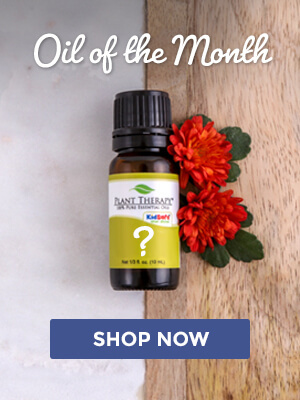 I have an 8 year old son so I have been looking at the Kid Safe line but I was wondering if you had a list of all your oils- including the non Kids Safe Line, that are safe to diffuse when you have children in your home? I believe in one of the comments above someone mentioned that one oil was safe for diffusing around children but not safe for application. That’s a great question, Krista! So the only oils that are Non Kidsafe that are safe to diffuse around children are: Lime, Peru Balsam and Ylang Ylang. I have always wondered why some oils were not good for use around kids. I just followed the rules but wanted to know WHY. This article was so educational. Thank you so very much. Thank you thank you for the clear instructions on all of your oils. This takes the guess work out! Love these oils! You’re very welcome, Madeline! So glad you find this information useful! This is an awesome resource! It’s so hard to know what’s safe and what isn’t for the sensitive little ones. I love the kidsafe stamp and the entire kidsafe line! I am still educating myself, so please excuse my naivety. Oils are deemed “kid safe” when they appear to have no side effects including respiratory and skin irritations and kid safe implies up to ten years of age. I’ve been diffusing lemongrass blended with lavender. Does that mean I have been exposing my children to harmful aromas? Thank you for promoting safe usage. I’m so glad to have a company/resource that I can trust with any questions. So thankful for this company and for you guys sharing what is safe for kids! I have a 4 & 8 year old. It is safe to diffuse oils around them if it doesn’t have the kidsafe label? I understand that if not labeled kidsafe they should not be applied topically, but wondering about diffusing. This is really informative for me. I have a 10-month old baby boy and after emailing a PT aromatherapist, I am now assured that I am properly using my EOs especially with my baby (i.e. I only use it on him if it’s really necessary e.g. he’s very sick, and I always only diffuse, never applied topically). I also only buy Kidsafe EOs so I know that it’s safe for the whole family. Thank you for sharing, Maria. We have wonderful Certified Aromatherapists on board to help with any and all kinds of concerns, and we are so glad you were helped and feel confident using oils with your little boy now! They’re not a trend; they’re a lifestyle change for the better! My daughter is 10 months old. Can I diffuse around her? What is a safe oil to diffuse as a sleep aid? There are special considerations and guidelines to follow when it comes to essential oil use with kiddos under the age of 2. Please email us at [email protected] and we can help you more. What about under 2 years old? I have a 10 month old and want to use essentials. So can you only diffuse kid safe oils around kids and not any of the other oils? I’ve seen some of the other big names in oils (YL) promote diffusing/ using oils that are not on your kidsafe list on children. Thank you for asking Stormy! It is true that certain essential oils are unsafe for use around children. Some of these reasons why they are not recommended for our kiddos are toxicity concerns, adverse skin reactions and breathing problems. Children are more at risk because they are smaller and therefore more susceptible to toxic substances, their metabolism is less effective than an adults, their skin is thinner than and not as mature as an adults, and they are more susceptible to respiratory issues. Here at Plant Therapy we take our customers safety very seriously and do our best to educate in regards to these concerns. If you have any other questions feel free to reach out to us at [email protected]. Thanks so much! I am confused about May Chang, Lemongrass and Opopanax. You say to avoid them for children under 10. Is that for topical use? In Essential Oil Safety, I only found cautions for children under 2. Hi Larisa, you are correct, we do not recommend using these oils with children under the age of 10. There are many reasons why some essential oils are not recommended to be used on or around children. Some of these reasons are toxicity concerns, adverse skin reactions and breathing problems. Children are more at risk because they are smaller and therefore more susceptible to toxic substances, their metabolism is less effective than an adults, their skin is thinner than and not as mature as an adults, and they are more susceptible to respiratory issues. For more information please feel free to email us at [email protected]. Have a great day! Hello, there is a lot of mixed reviews on whether Ylang Ylang is safe for children. I was told by an aromatherapist that it is safe to diffuse for 20-30 minutes but it should not be used topically. What is the latest research on this? This is true. The reason Ylang Ylang does not have a KidSafe stamp is because it has a low max dermal and is a known potential skin sensitizer. It is safe to diffuse, however. Tea tree is listed as a safe oil for children and also as a NOT safe oil. Which is it? Thank you so much for catching that Kristina! Good news, Tea Tree is KidSafe! I’ve updated the post to reflect this. What can you tell me about using oils while nursing? Should I still stick with child safe oils? Dilution is always an important thing to remember, that’s correct Nancy. Thanks so much for standing by us, we appreciate having you as a customer! Would identify kids from 5mos up. May I suggest indicating the age bracket to avoid confusion that just because it’s Kidsafe it means including infants, babies and toddlers. Some would assume. Hi Teresa, thanks so much for the feedback! 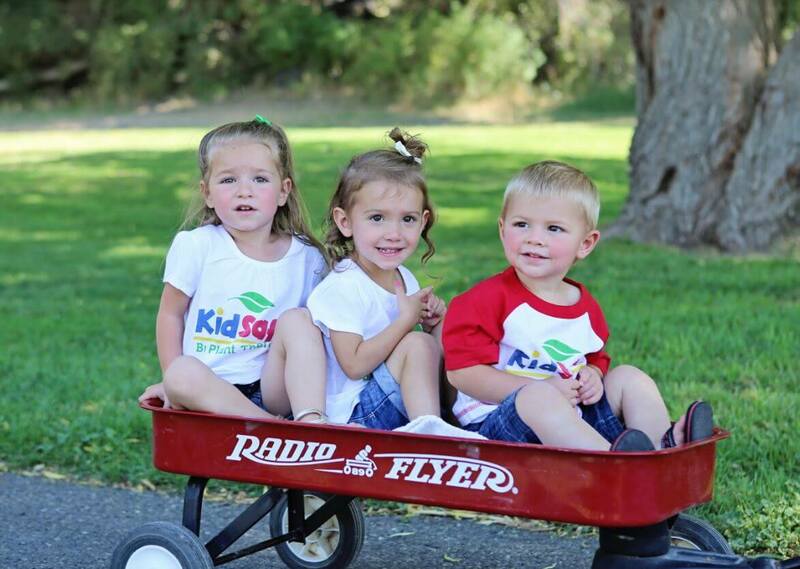 Our KidSafe line is formulated for children ages 2-10. With that said, essential oils can be safely used with children under the age of 2. To learn how to safely do so we ask that you email us directly at [email protected] so we can provide safe use guidelines specific to your needs. Thanks so much! This is why I trust your site so much! Thanks for being so reasonable and balanced! Plant Therapy oils will always be my favorite oils because you clearly label them with the kid safe logo on each bottle. As a mom, and now a grandmother, it helps to take any confusion out of which oils to use on children. Some oils have similar names, its easy to grab the wrong bottle, but i organize my oils by placing kid safe on lower shelves.